Mark Lefko transformed his 40-year C-level corporate background into a purpose that rises above the bottom line. As the Founder and CEO of The Lefko Group, one of the nation's leading facilitation firms for corporate retreats and industry peer groups, Mark has coached over 100 CEOs and Presidents in business development, strategy and unlocking the power of their teams. He currently serves on four advisory boards and has founded several organizations that engage, educate and inspire business professionals. 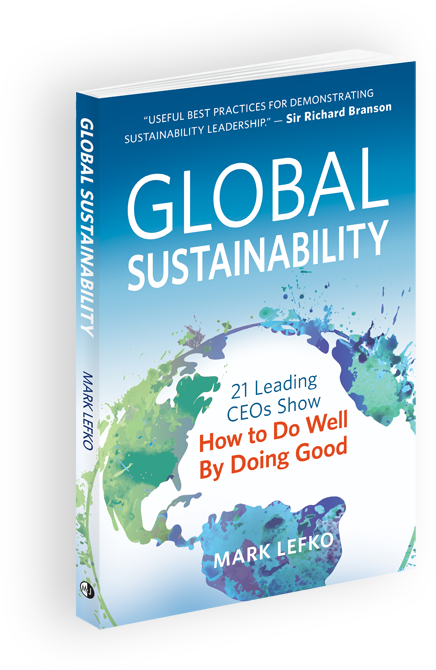 In 2016 Mark released his book Global Sustainability, interviewing some of the world's top CEOs to capture the global knowledge and best practices of leading companies, and to prove how global sustainability is shaping the growth of the most progressive and profitable Multinationals, Fortune 500, middle-market and start-up companies around the globe. Mark looks forward to sharing his knowledge through speaking engagements, roundtables and 1-to-1 coaching to enlighten individuals and management teams on the capacity of business to make the world a better place while driving profitability. Get full value from your Corporate Retreat. The Lefko Group has created over 100 retreats and coached over a hundred corporate CEOs and Presidents on how to get the most out of their team and company. Learn more about the retreat process step-by-step on the Lefko Group website or get in touch now to discuss how Lefko Group can help your organization reach a higher level of harmony and profitability. Featuring in-depth interviews of 21 leading CEOs, Mark Lefko’s book examines this vital subject from the perspective of today’s most influential business executives.